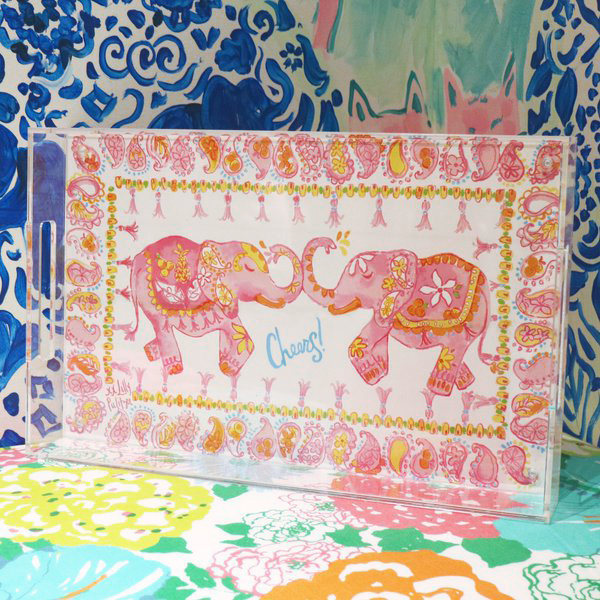 Any Fins Possible - Lilly Gifts With Purchase! Today we wanted to get back downtown with Lucy for some lunch, shopping, and walking around and I'm not going to lie... I put this dress right back on! 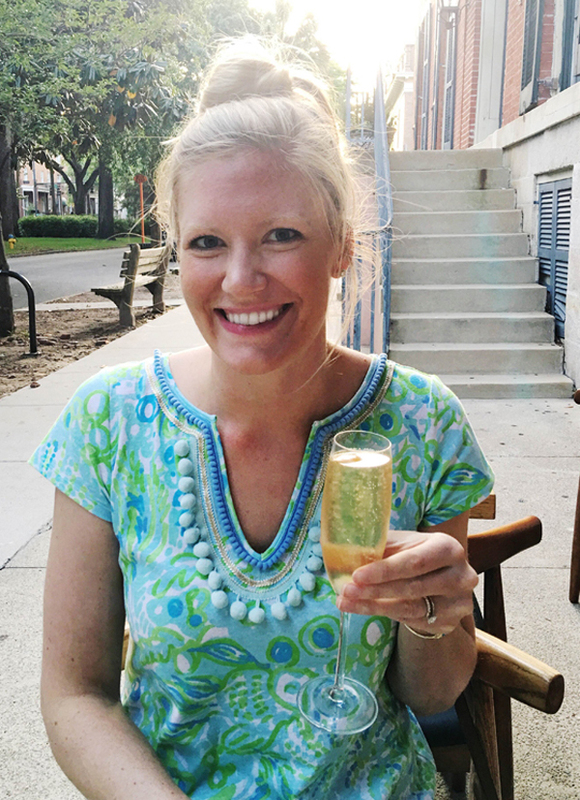 I love a dress that can be worn out to dinner but is also casual and comfortable for daytime. 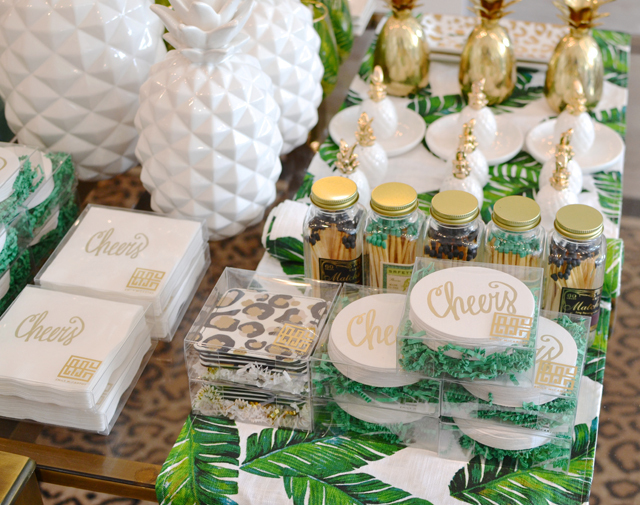 Plus, it has little fish all over, pom poms, and the print name is just the cutest! Robbie snapped a couple full length pics of the dress so you can see how the length is on me. The website says that it's 16" from natural waist to hem but that is definitely a typo! I'm pretty certain that it is 19" so if you're tall like me (I'm 5'10"), no worries it's still do-able! I did go up a size to a M so it's a little bit big, but I needed the extra length. What happens when Robbie takes my pic ^^ haha he was sure to get the boat in the background! 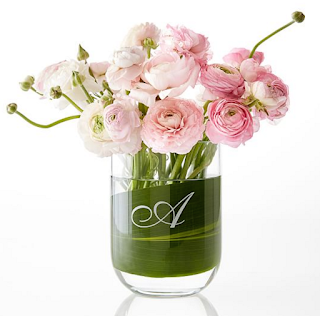 Mother's Day is just a little over a week away (May 8th!) and I've been thinking about Mother's Day gifts for the last couple weeks trying to think of just the right thing to get the mothers in my life this year! 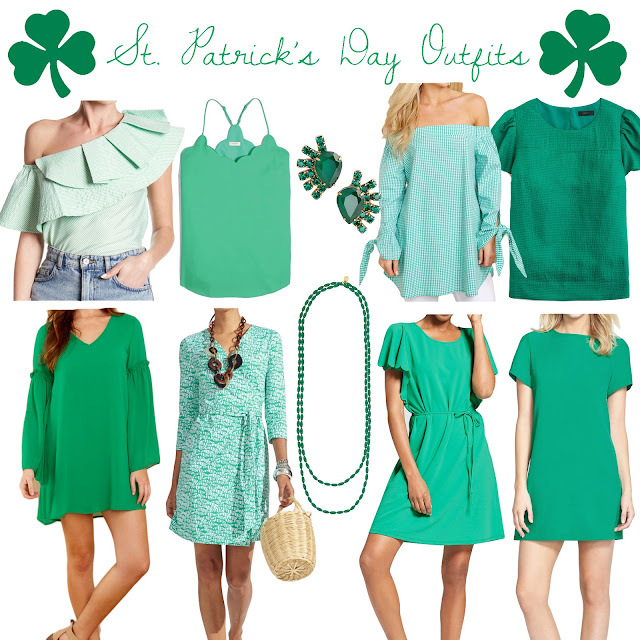 I won't say exactly what I'm getting just in case my mom reads this post but I've pulled together some great picks for you all to shop! 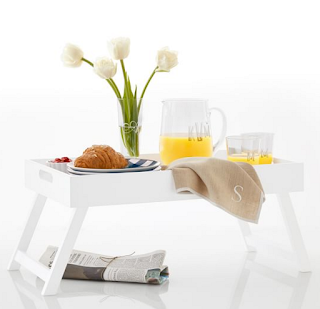 Lacquer Breakfast Tray for breakfast in bed! I've been gathering these items for a while so you can find plenty more HERE! 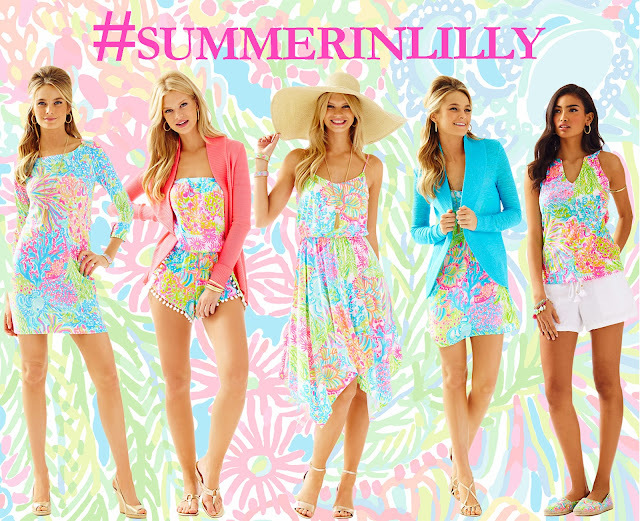 Brand new summer Lilly was released today and I am swooning over all of the new arrivals! You may remember that I shared a little sneak peek here but seeing everything online is even better! The new Lovers Coral print is so fun with all of the bright colors and coral prints are pretty much always my favorite. 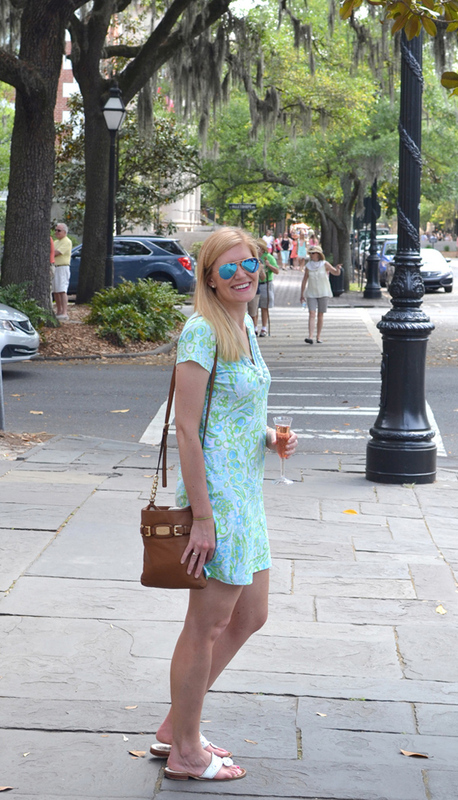 There are also so many items to choose from in that print but I think I've narrowed it down to this dress (same style as this one I wore in Palm Beach! ), these shorts, or this popover since those are items I tend to wear all the time... but I do also love this cover-up, this dress, this wrap, and this top- oh the choices! 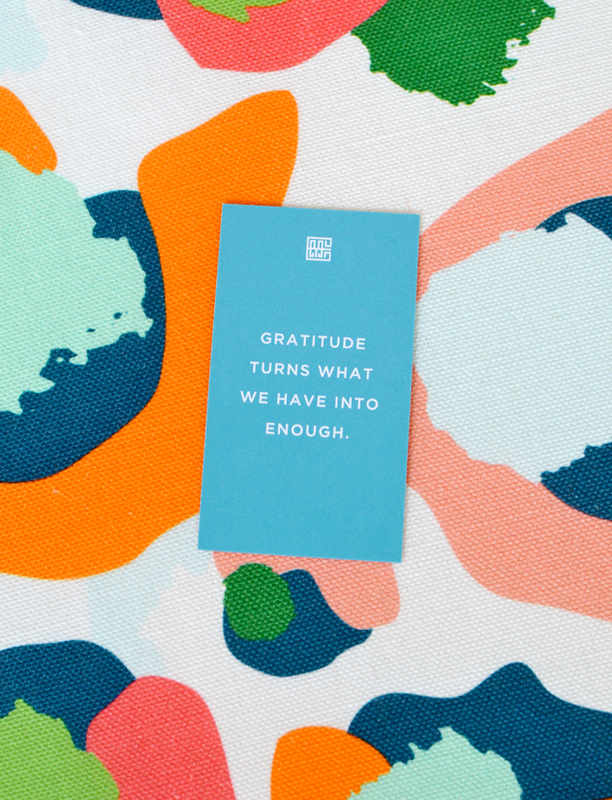 I'd love to know what items/prints you're loving so far from the summer delivery? 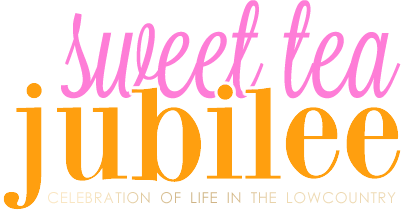 See it all here or see a sampling of it all below! 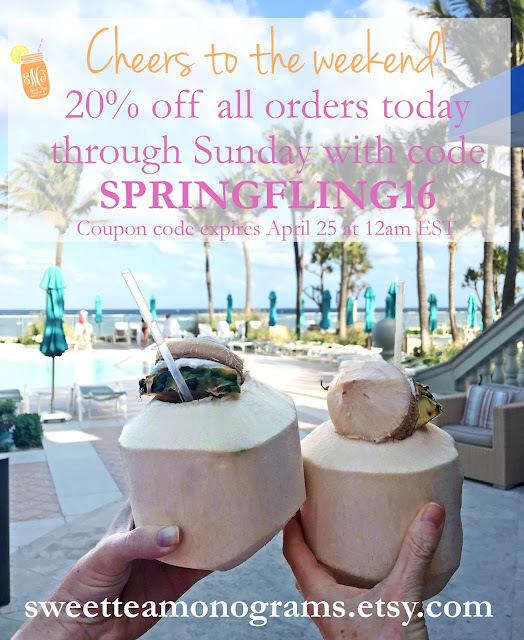 use code SPRINGFLING16 at checkout! 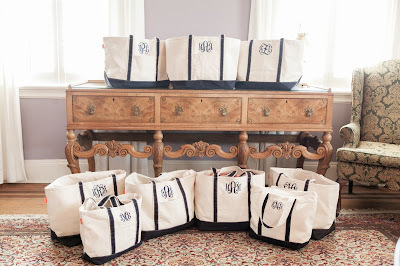 I don't host Sweet Tea Monograms sales often and this is one the biggest sale yet!!! 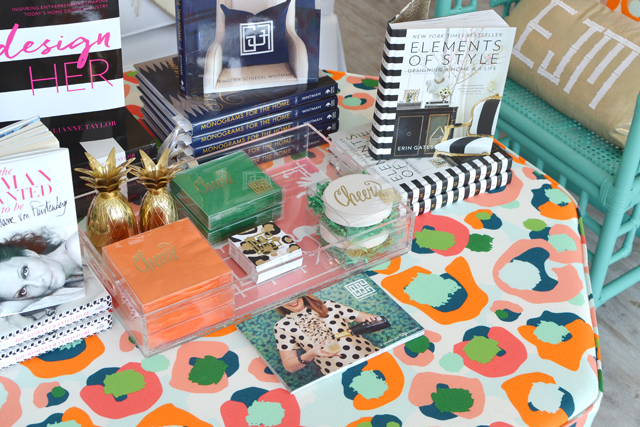 It's the perfect time to grab a gift for mom, your favorite grad or just treat yourself! 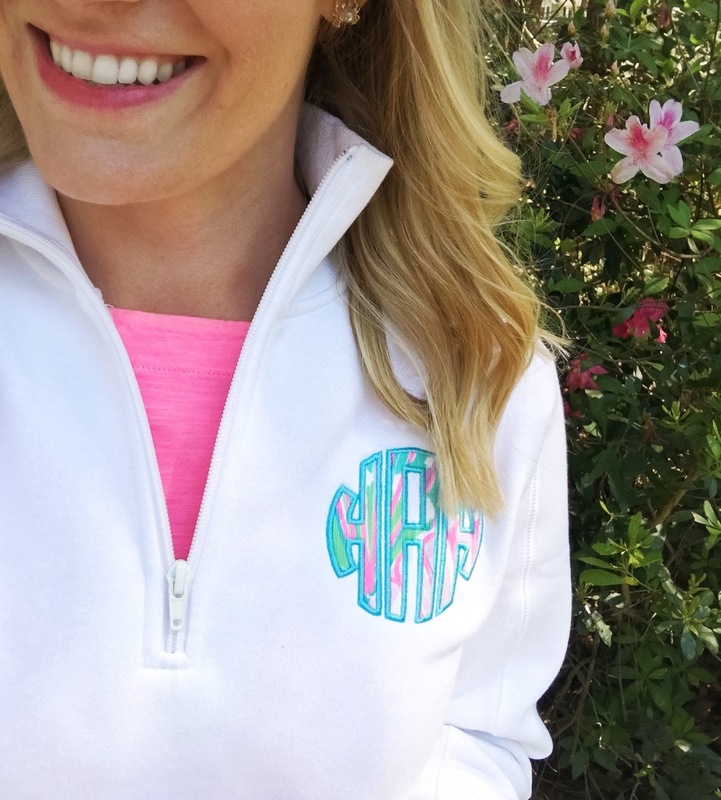 I wear these Lilly fabric monogrammed pullovers all the time! This white one is a brand new for the spring with my new monogram (luckily it didn't change from the old too much!) 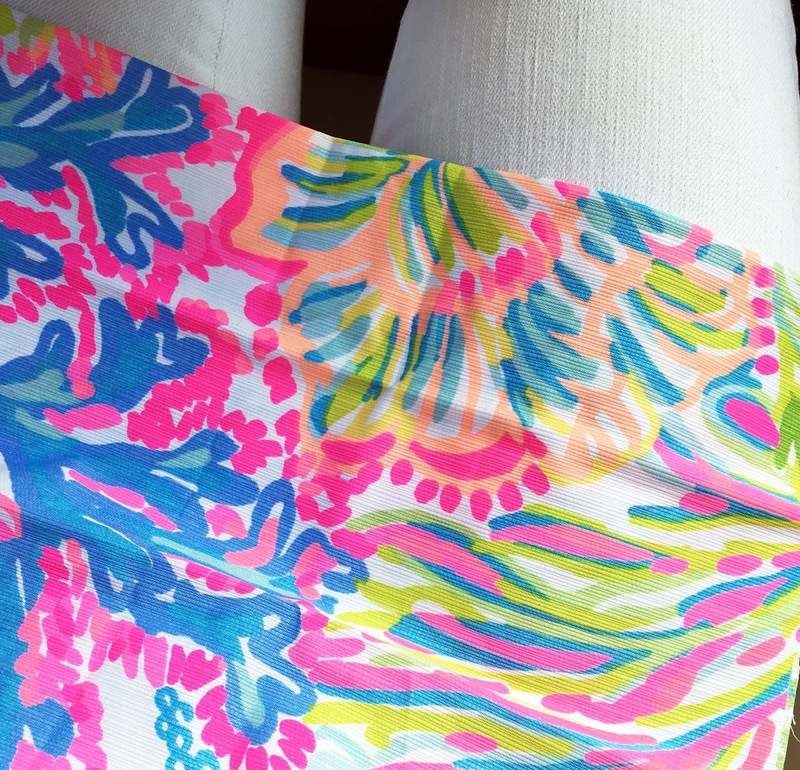 and it matches my favorite Lillyband (from another awesome Etsy shop and shop owner!) and also a pair of shorts that I have. 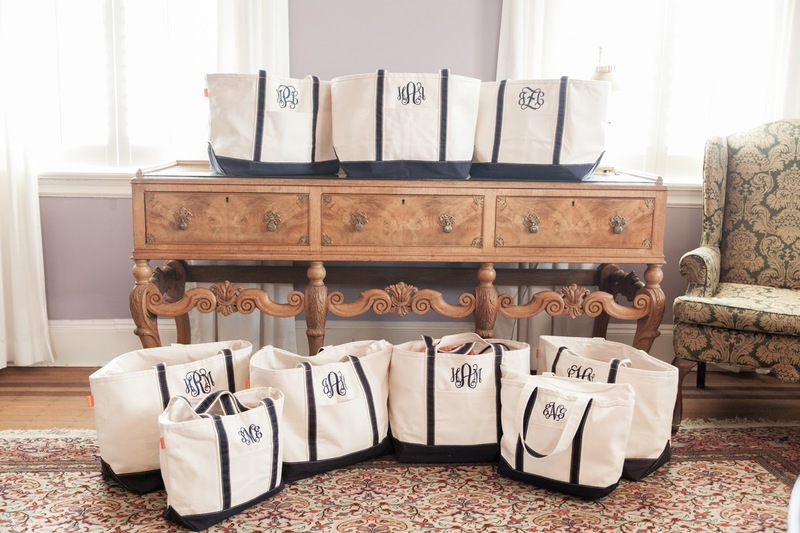 This is actually a wedding photo from my photographer Ashley Seawell, but as you can see I gave all of my bridesmaids and flower girls monogram tote bags to use on the morning of the wedding. The bridesmaids got the larger size and the two smaller ones up front in the photo were for my sweet flower girls. 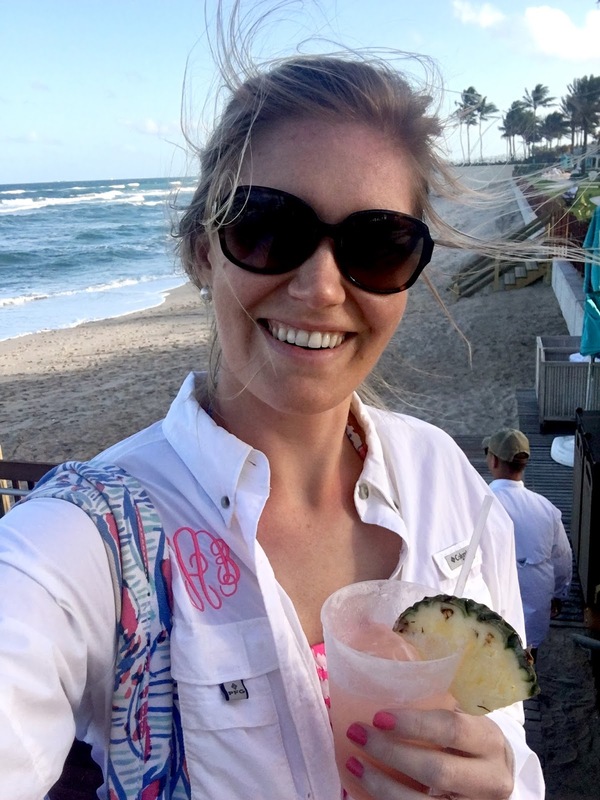 Last but not definitely least- these monogrammed Columbia PFG shirts (stands for performance fishing gear) are awesome for summertime! I love them for the sun protection but they're great for beach/pool coverups and you can get the monograms on the front or the back. My husband also loves these shirts but instead of a monogram like mine, I'll do nautical flags with his initials- which a lot of the guys love! Just an FYI though, the men's/unisex shirts do run about one size large. Find Sweet Tea Monograms on Facebook and Instagram or free to email me at sweetteamonograms@gmail.com with any questions or if you want to customize your order! Happy Friends and Family Sale season! 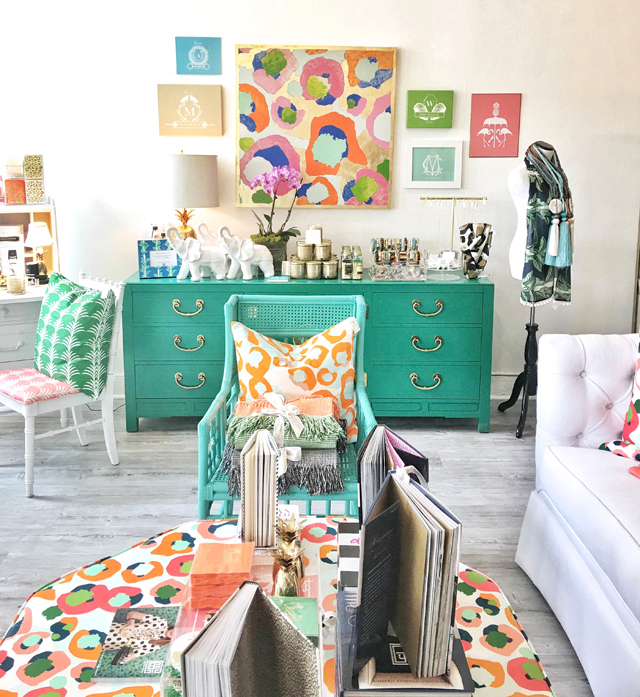 :) It seems like there are big sales popping up every week, but I had to be sure to share this one because it includes lots of Lilly Pulitzer- all 30% off until 4/25! The big Grand Opening will this Saturday April 16th from 10-5 but since I won't be able to make it, I was able to get a little tour yesterday to check it all out! Here are a few sneak peeks! 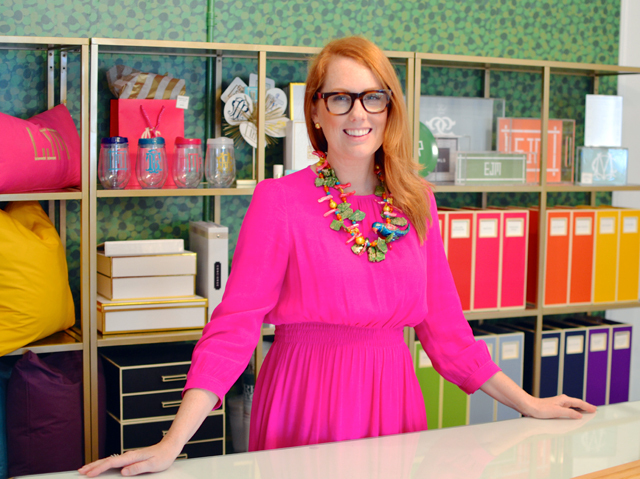 The hostess with the mostest, Emily! 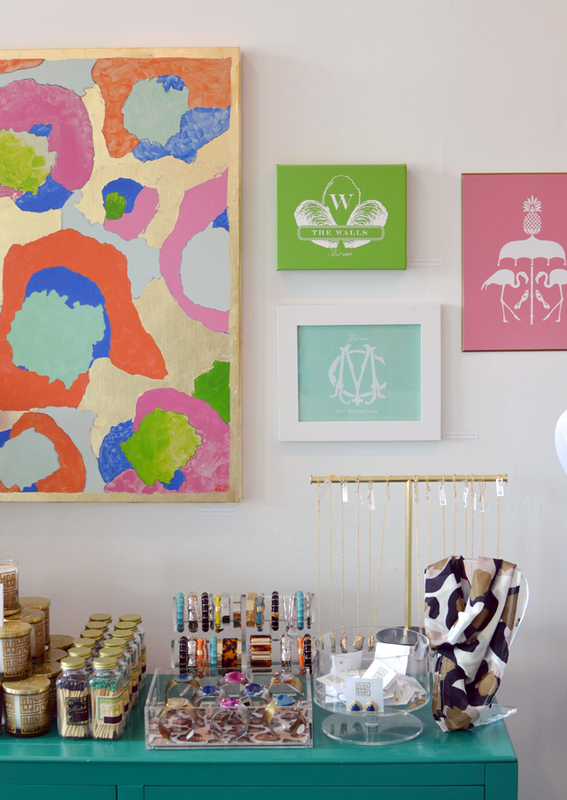 Love that gorgeous custom painting that matches her "Spot Cheetah" fabric and the custom personalized wall art! 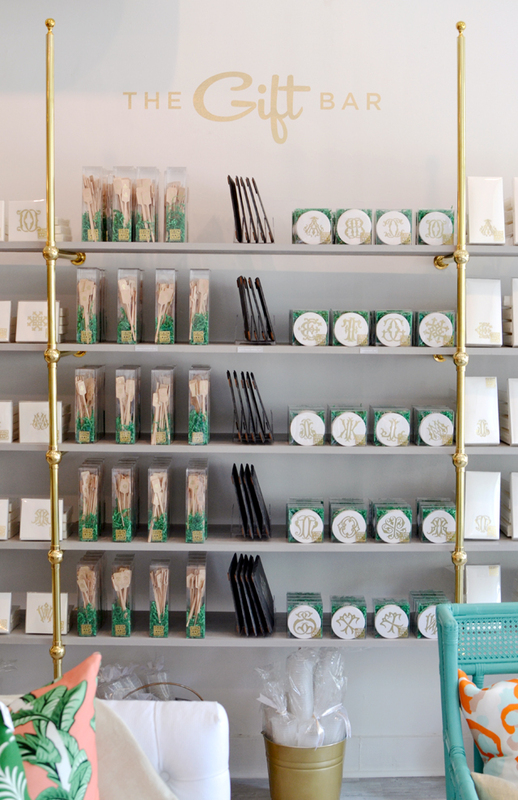 The gift bar has everything you need for an easy hostess gift! 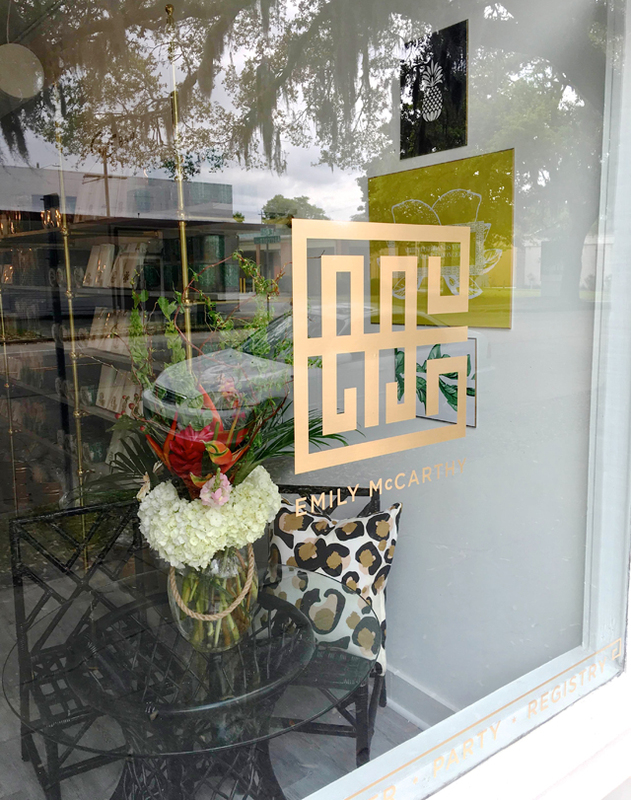 Choose between a stemless wine glass, cocktail napkin, swizzle sticks, slate board, coasters, hand towels or old fashioned glasses that all have her signature one-letter monogram style. 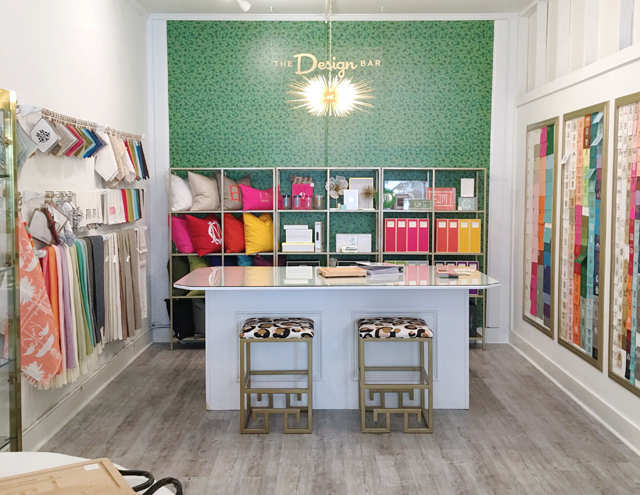 The Design Bar is the perfect place to get personalized paper, entertaining sets, pillows, or just about anything that you have your heart set on! 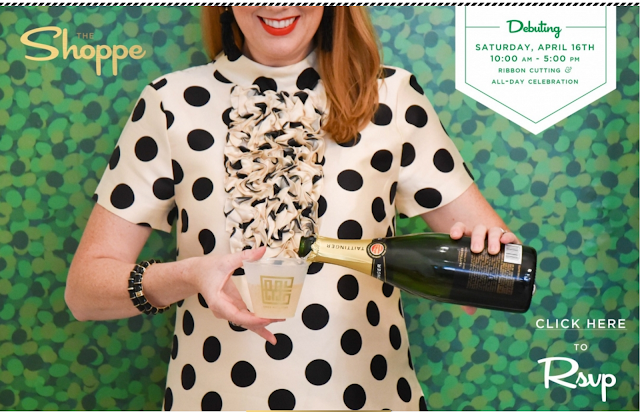 Love this fun take on the personalized wall prints in the "Amalfi" style! 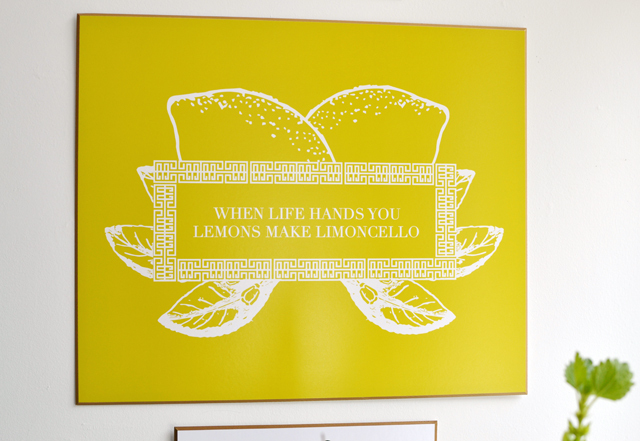 This would be great for a little bar area and you can custom it to say whatever you would like- whether it's the "When life hands you lemons" saying like above, your last name, or monogram! 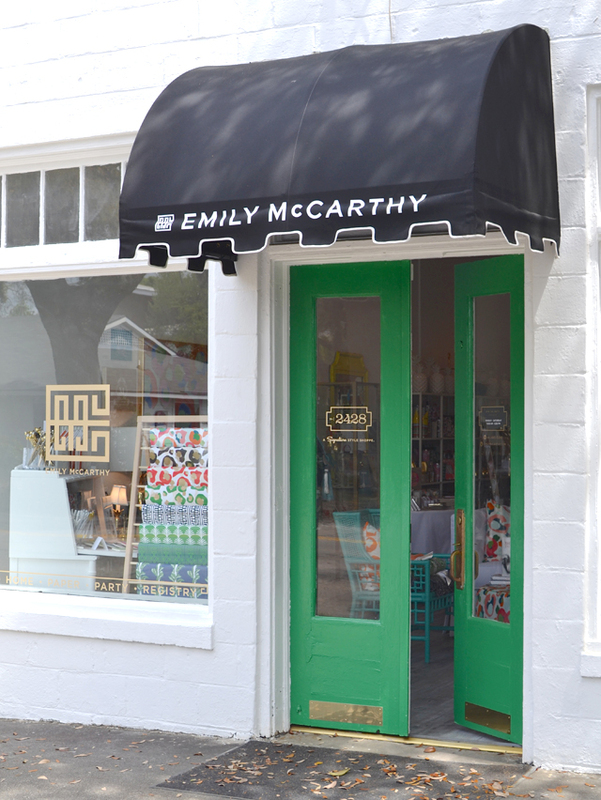 I hope you all enjoyed this little sneak peek of the brand new Emily McCarthy Shoppe, and if you're in town, don't forget to stop by Saturday from 10-5 for what I hear is going to be a great party! Thanks Emily for sharing your space with me! 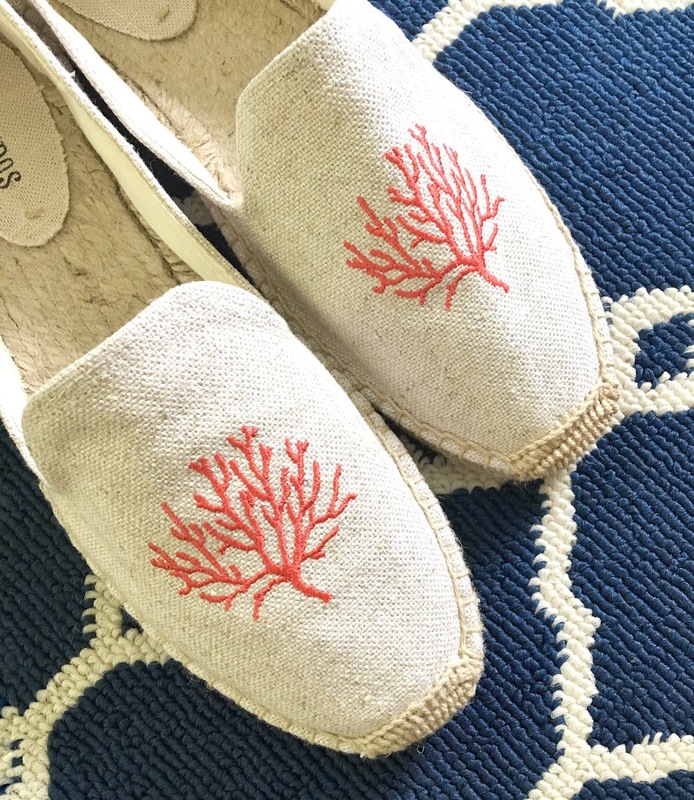 I've always loved espadrilles (I remember when I was little I had a pair of Laura Ashley ones that I wanted to wear everyday!) and I think the flat loafer style is a great spring transitional shoe. 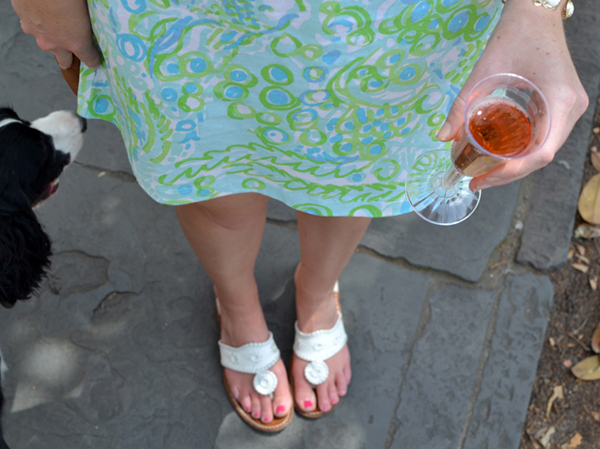 You can have your toes covered but they're still very lightweight to wear through the summer. I have seen so many cute embroidered ones lately that I had to share! These coral embroidered espadrilles came yesterday but unfortunately they're too small so I think I'm going to exchange them for these in a bigger size! If you aren't sure about what size to order, I would definetly recommend ordering up a 1/2 or whole size! *For reference, I'm almost always a size 10, sometimes 9.5 but these 10's were a little too snug. 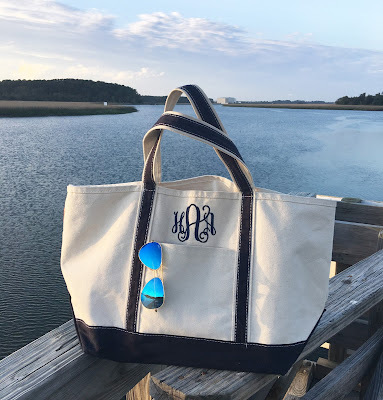 Summer Essentials - all 25% off!